Available in a wide range of tyres the Dunlop Ensave 2030 isn't commonly found in the U.K and is often found on vehicles in the continent. However, if you have currently got Dunlop Ensave 2030 tyres fitted on your vehicle and would like to replace them with the same equipment, Easywheels.co.uk is here to help. We stock a range of sizes of the Dunlop Ensave 2030 and also a whole host of alternatives. 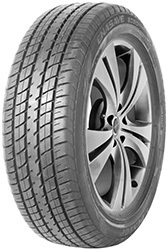 Available in a wide range of tyres the Dunlop Ensave 2030 isn't commonly found in the U.K and is often found on vehicles in the continent. However, if you have currently got Dunlop Ensave 2030 tyres fitted on your vehicle and would like to replace them with the same equipment, Easywheels.co.uk is here to help. K and is often found on vehicles in the continent. However, if you have currently got Dunlop Ensave 2030 tyres fitted on your vehicle and would like to replace them with the same equipment, Easywheels.co.uk is here to help. We stock a range of sizes of the Dunlop Ensave 2030 and also a whole host of alternatives.